Using a pick with a 45 degree angle will allow you to push the metal clip inward enough to release that side. 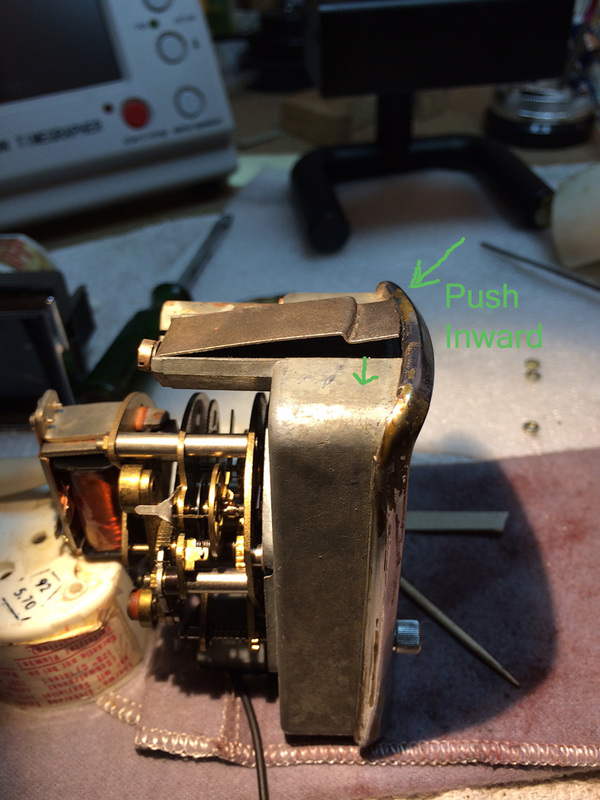 Then use the pick on the other side to push inward until you feel the clip release the dashboard. The clock is still attached by three wires; light bulb wire, positive and negative. You can remove the light bulb from the clock and leave the wire connected to the bulb holder. You may need to use pliers to grip the bulb holder and turn side to side to remove it by pulling outward from clock. The positive and negative wires are held on by nuts that come off gently with pliers. It is a good time to check the light bulb if you are not certain it works. Reverse above procedure! Connect positive wire, attach negative ground wire. Forgot which wire was negative? The negative wire eyelet is bent at a 45 degree angle. Clock should click when powered up, the click is the winding action. 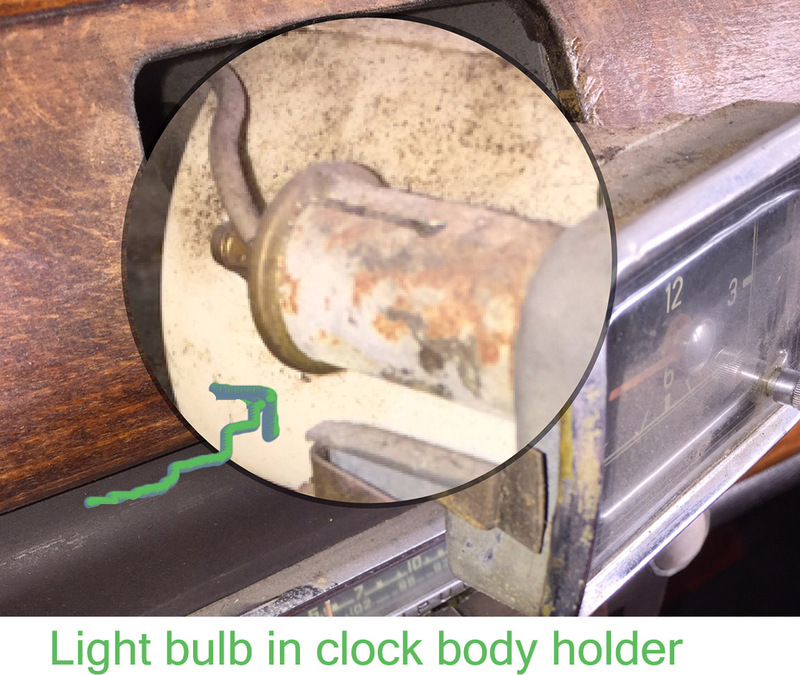 Check light bulb and then push bulb with holder into clock. Push clock into dashboard. You will feel the spring clips snap into place which holds the clock. 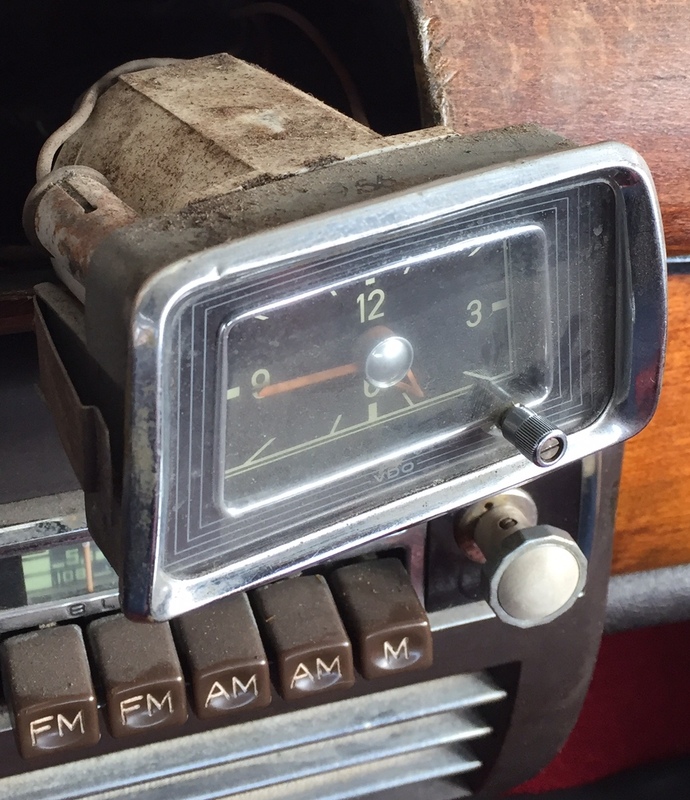 The clock shown here is from my 1957 Mercedes-Benz Ponton 220S named Polly; also shown above demonstrating how to remove from dashboard. This clock was cleaned, lubricated and calibrated. I polished the bezel and glass, and repainted the hands. It takes practice to remove and install the chrome bezel without damaging it. This one did not need to be rechromed which is optional. In order to get your clock serviced, you will want to remove it correctly from the dashboard without damaging the thin metal bezel or anything else. 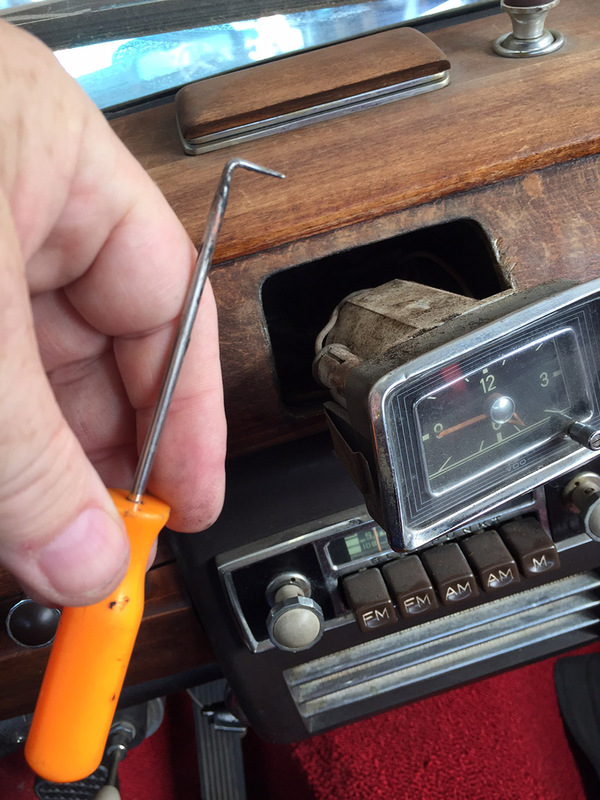 Here are the correct steps to remove your clock from the dashboard of a Ponton or a Fintail Mercedes Benz.